In this oratorio based on Exodus 17-18, Moses, his successor Joshua, and a narrator vividly recall the challenges and successes of the Hebrews in the wilderness for Jethro, Moses’s father-in-law. And in Act II, the people of Israel battle the Amalekites. Seventeenth-century oratorio combined the tremendously popular music of the opera with stories chosen for the intellectual and spiritual enrichment of its listeners. The Academy of Sacred Drama continues this mission by uniting emotion, intellect, and community in presentations that incorporate great oratorios, contextual lectures, and community receptions. View the facsimile of the musical manuscript in the Biblioteca Estense Universitaria, Modena, Italy here. View the facsimile of an original printed libretto in the Biblioteca Estense Universitaria, Modena, Italy here. The Academy of Sacred Drama subverts convention by exploring sacred dramatic music as a membership organization rather than a performing ensemble. This approach has enabled unusually ambitious projects such as the production of an open license journal devoted to sacred drama. Last season’s journals helped to develop a richer understanding of the deuterocanonical and Baroque conceptions of Judith for modern readers and audiences. This season’s journal will explore Moses in sacred dramatic music as well as Moses art housed in New York City. The Academy’s creation of editions and translations of little-known Baroque oratorios and cantate has enabled the frequent presentation of modern and American premieres of these works paired with lectures and receptions. 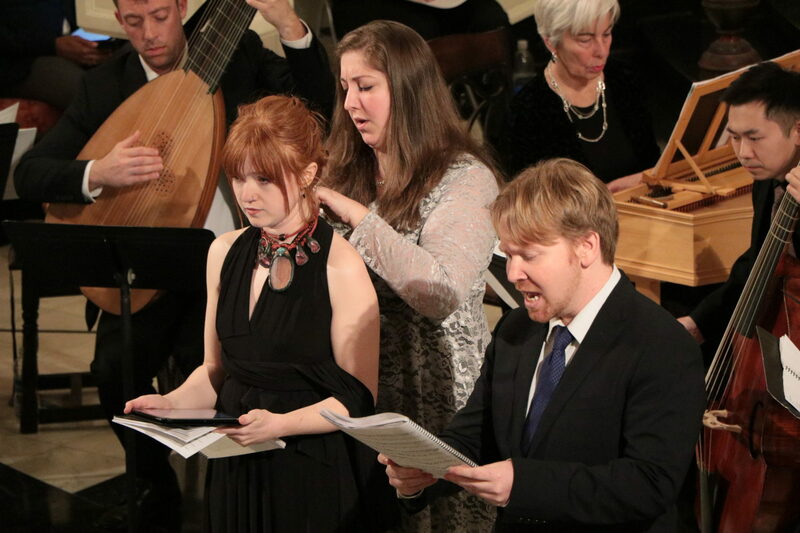 The Academy’s 2017-2018 Year of Judith featured the modern day premiere of Domenico Freschi’s Giuditta, the American premiere of Antonio Draghi’s Oratorio di Giuditta at the Yale Institute of Sacred Music, and a program of rarely heard Judith cantate of the French Baroque. The Academy was featured in that first season in an article in Commonweal Magazine, and its artistic decisions were declared “striking” by the New York Times. 2018-2019 is the Academy’s Year of Moses and features another set of premieres of large-scale musical works. Oratorios by Vincenzo de Grandis and Giovanni Antonio Gianettini will be presented for the first time in more than 300 years. The Academy will also perform the American premiere of an oratorio by Bernardo Pasquini and a program of rarely heard Moses cantate of the French Baroque. This initial phase of the Academy explores little-known Baroque repertoire through a variety of professional collaborations. In future seasons, the Academy will publish editions of historical sacred dramatic music and translations with open licenses and will expand its research of the repertoire as well as its educational activities to medieval sources, modern commissions, and explorations of the place of drama within and outside of Christian liturgies. Starting in 2020, the organization’s artistic process will focus on curated seasons designed to take artistic risks and to challenge commonly held assumptions about music, drama, and society. Explore the world of sacred dramatic music as a member of the Academy of Sacred Drama! All memberships come with a print subscription to the Academy Journal of Sacred Drama, $10 discounts to oratorios and salons for up to two friends, and invitations to potluck dinners for you and your invited friends. Membership includes general admission to 9/15, 11/10, and 4/6 performances. Membership includes premium admission to 9/15, 11/10, and 4/6 performances and invitations to open rehearsals. Membership includes an invitation to an exclusive private reception with the musicians on Friday, April 5th, a signed poster with the season’s musicians, and all the perks of a Patron Membership. Membership includes access to $10 student tickets to 9/15, 11/10, and 4/6 performances and invitations to open rehearsals.